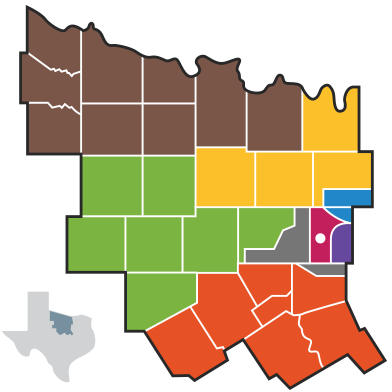 The Diocese of Fort Worth is divided into eight deaneries with a priest appointed as a "dean" for each of these areas. The dean represents the bishop to the clergy and the faithful of his deanery. Dean: Very Rev. Lucas Alejandro Olivera, OFM Cap.